The city of Velenje in Slovenia was designed as a garden city, but as increased car use put pressure on the city to increase parking spaces, sprawling parking lots began taking over the lush landscape. 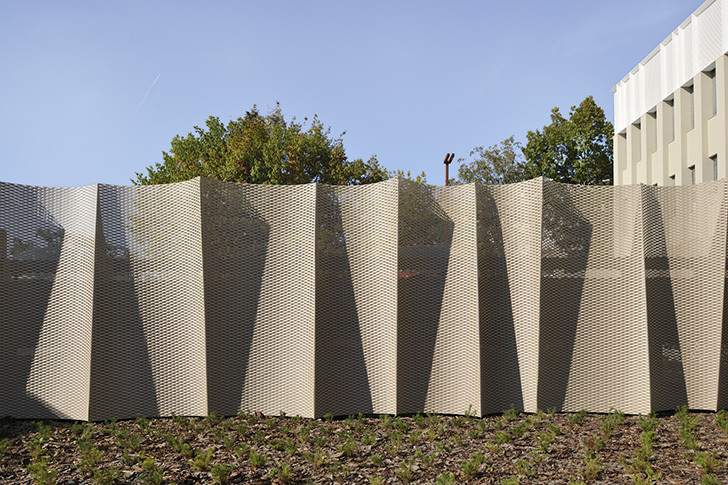 When <a href="http://www.enota.si">ENOTA</a> was tasked with re-imagining a car park in front of the community health center, they decided to create a space that added parking availability without imposing on the landscape any further. 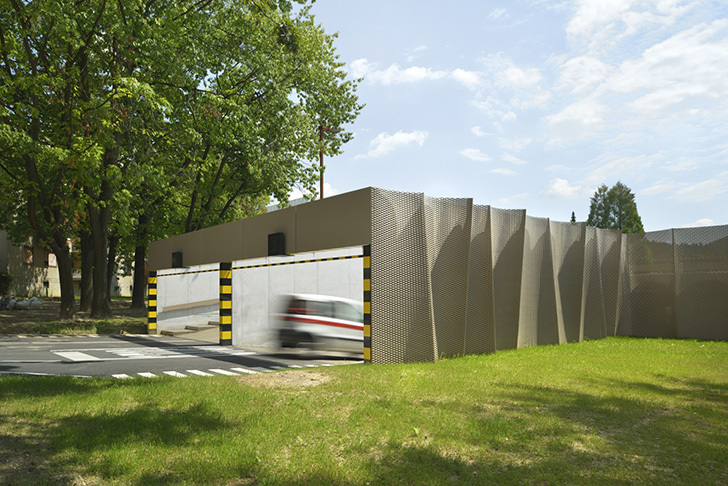 The Velenje Car Park is now an unobtrusive space that blends in with the local surroundings. 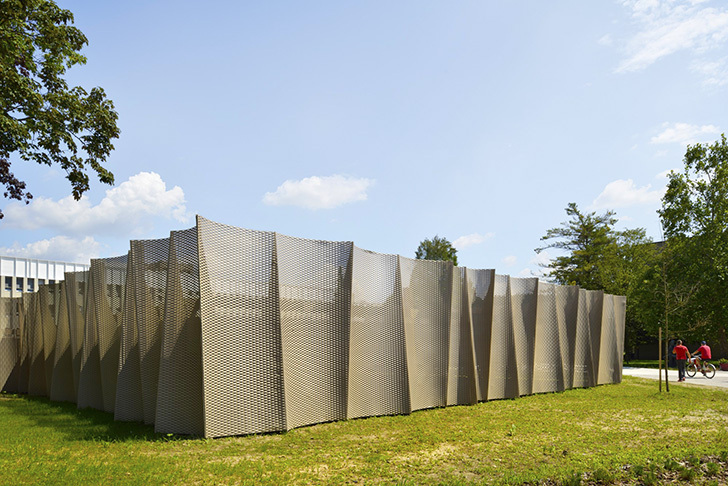 The structure was nominated as a finalist for the <a href="http://awards.architizer.com">Architizer A+ Awards</a>. 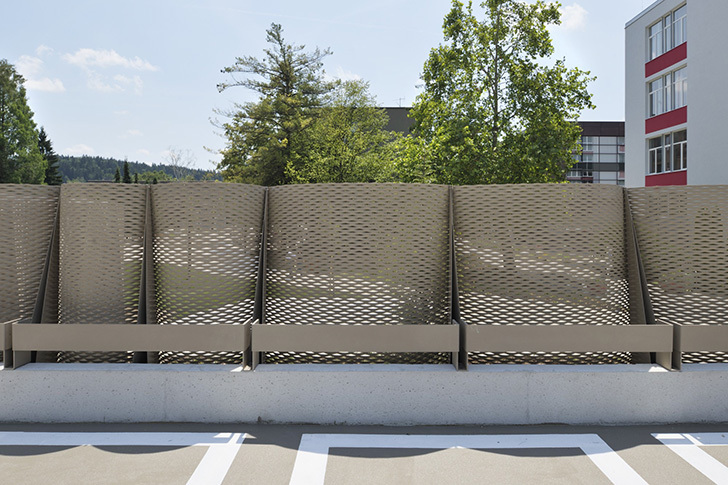 Instead of expanding the footprint of the parking area, ENOTA opted to dig under the existing space and cover it to create two levels of parking. 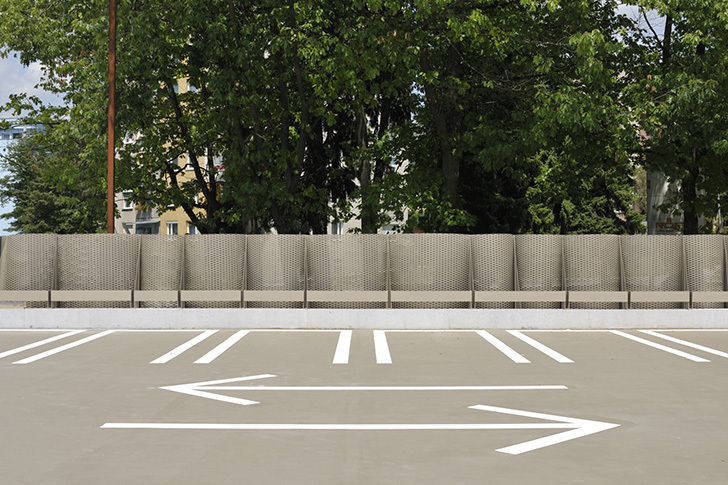 A double entrance at the front of the building allows cars to enter either level and there is no annoying circling to get from level to level. The structure houses public restrooms. 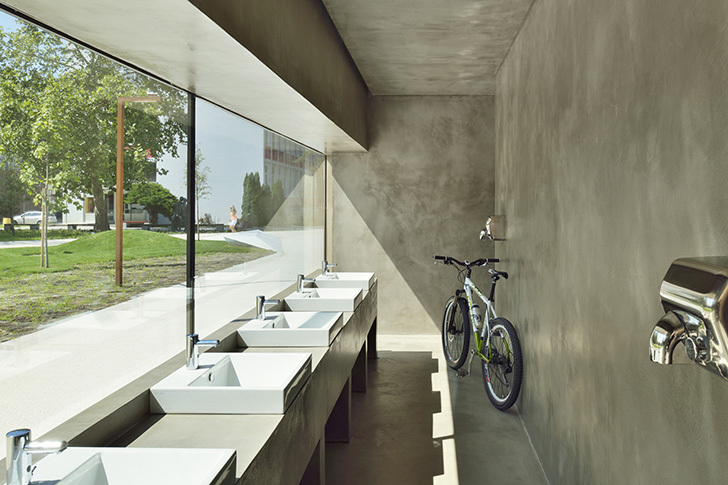 Inside of the public restrooms. 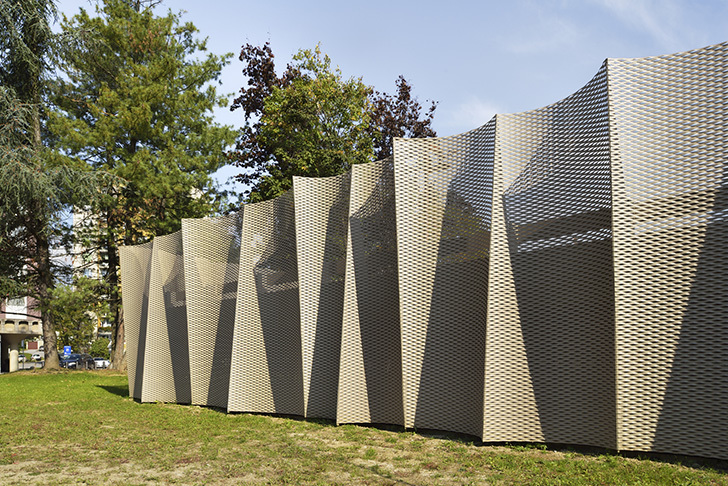 The structure houses a public toilet, the roof of which acts as a concert stage for public events. 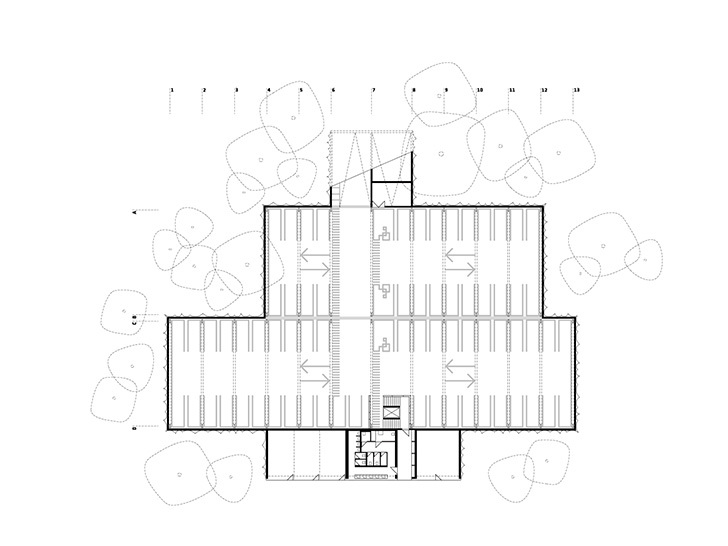 Because the town has an ample amount of green space, most people have opted to simply expand their parking areas rather than build multi-level parking structures. The panels obscure the cars from view. 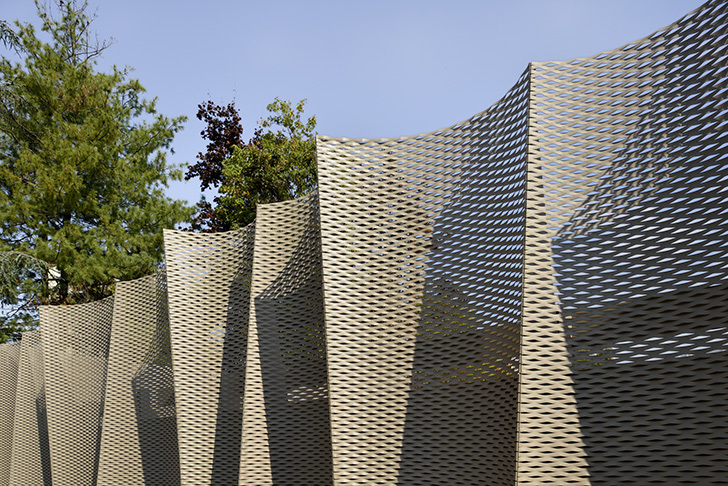 The facade was designed to blend in with other local buildings and existing greenery. 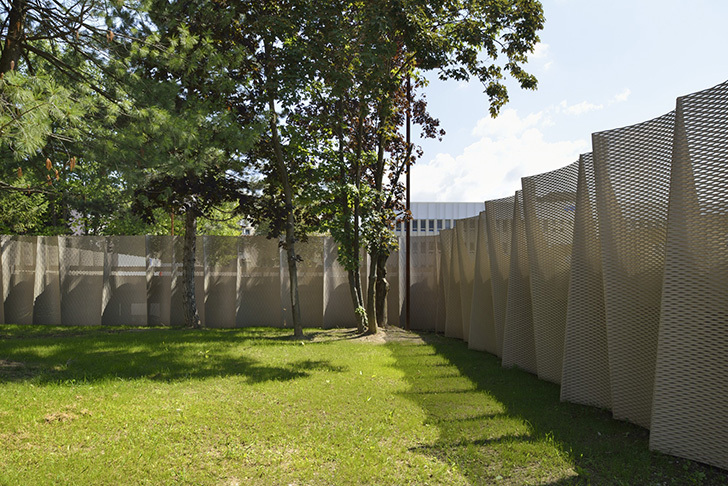 But ENOTA wanted to ensure that the city maintained its garden-like feel by balancing parking needs with the surrounding landscape. 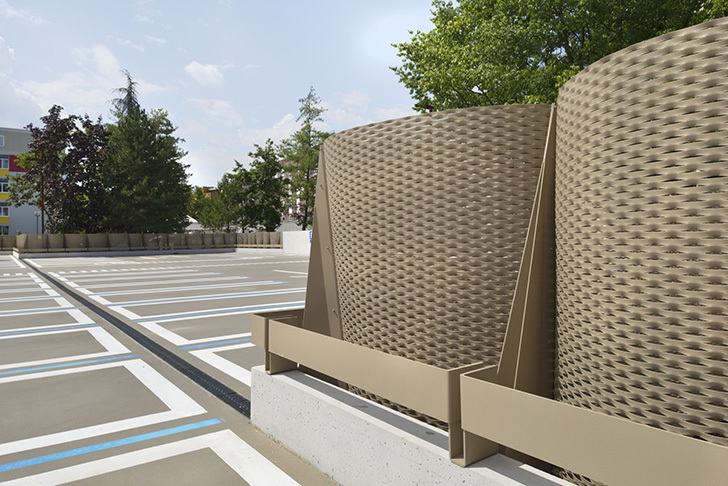 The rest of the parking garage is covered in an undulating metal facade that is just high enough to obscure the vehicles parking inside. The top level of parking is open to the air. The panels also provide support. Despite the fact that the Velenje city center is a pedestrian zone, there is still a need for parking cars in order to visit the city center. 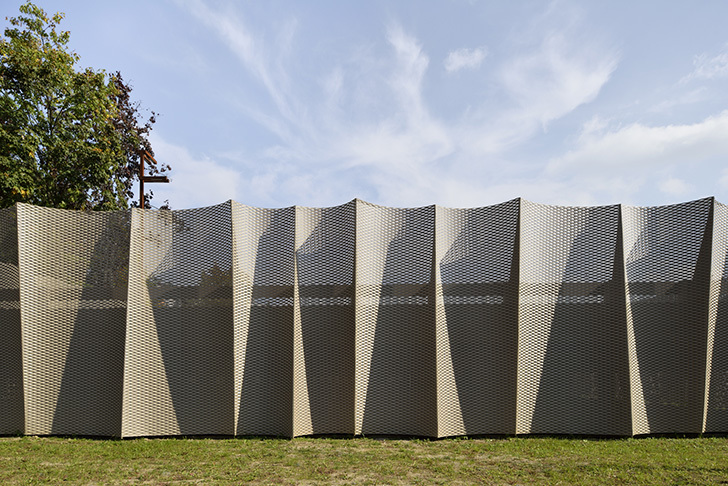 The metal facade provides an ever-changing play of shadows. 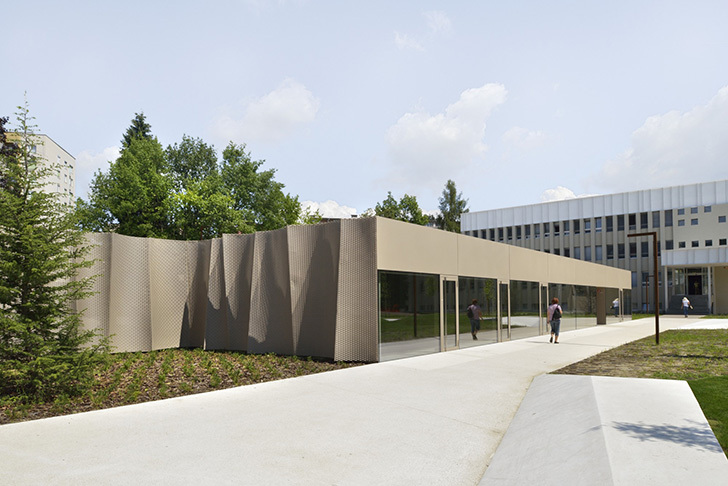 The arrangement of the facade panels creates an irregular pattern of shadows that helps the structure blend seamlessly with the trees around it. 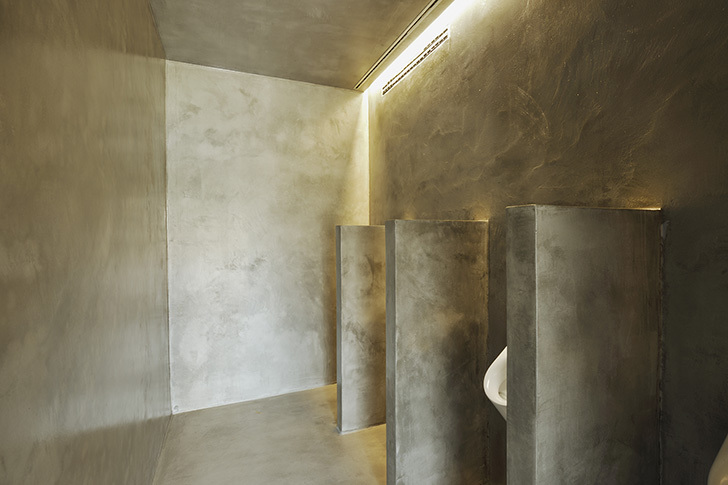 The design was nominated for an Architizer A+ Award. The city of Velenje in Slovenia was designed as a garden city, but as increased car use put pressure on the city to increase parking spaces, sprawling parking lots began taking over the lush landscape. 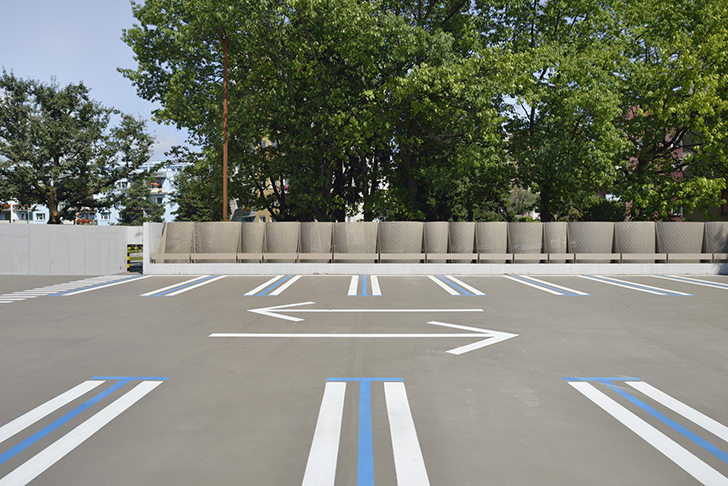 When ENOTA was tasked with re-imagining a car park in front of the community health center, they decided to create a space that added parking availability without imposing on the landscape any further. 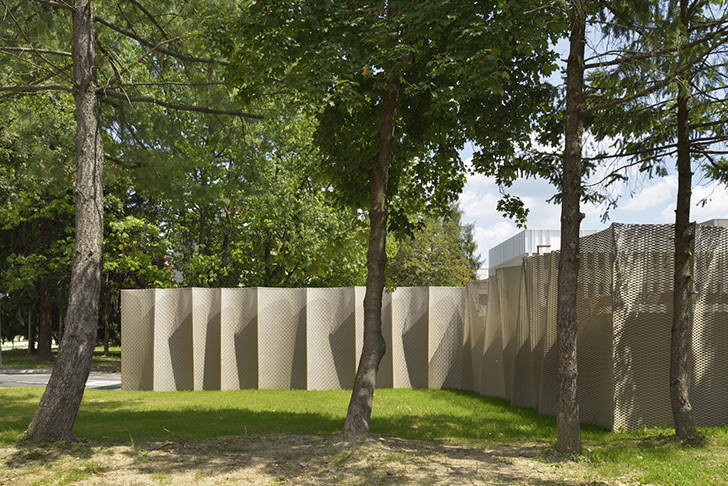 The Velenje Car Park is now an unobtrusive space that blends in with the local surroundings. 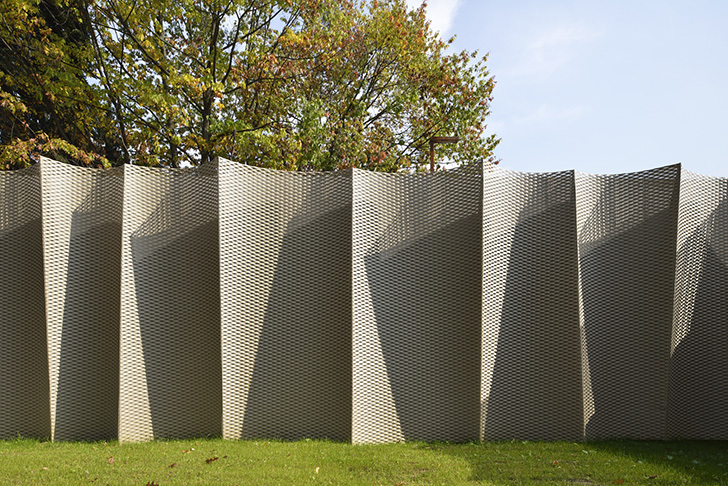 The structure was nominated as a finalist for the Architizer A+ Awards.